Finally! A bay beach with no mud! 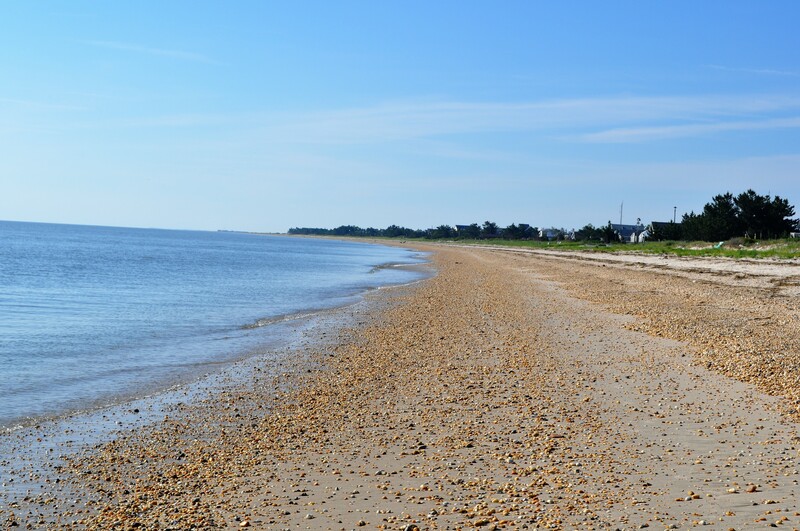 Slaughter Beach wins the number one spot on my list of Delaware bay beaches so far. We learned from our previous bay beach experiences (one requiring the first aid kit) that it’s best to wear some sort of water shoes or sandals on the rocky beaches because you can’t quite tell what you are stepping on. The boys refuse to keep them on though, despite my best attempts but it is definitely more comfortable to walk with shoes on here. If your kid is a rock collector, this beach is a goldmine for them! When you take a really close look you can find all different colors, textures, shapes and sizes at Slaughter Beach so for some, the rocks may not be considered a bad thing. When most families picture a great beach, I’m guessing they envision fine sand, clear water and lots of open space so when it’s anything other than that I want to make sure you are prepared before you go. 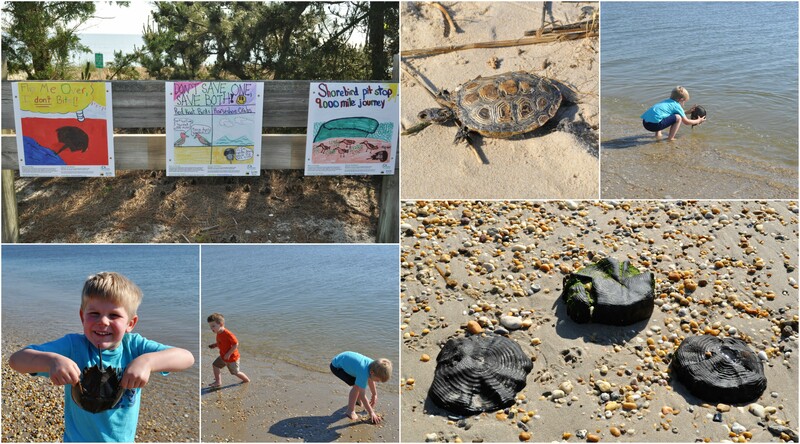 The Delaware Bay offers great wildlife viewing opportunities that you won’t find on a “clean” ocean beach. On just this trip we came across a diamondback terrapin, a shark and numerous horseshoe crabs (all deceased) and found some great shells. Slaughter Beach has many access points along the main road. The largest parking area is at the fire house and there you will have access to public restrooms. We parked in a central location and probably could have walked over half a mile in either direction. The next time we go, I may park at one end and plan on walking the full length of the beach and back. We hope you have as much fun on your visit as we did on ours and don’t forget your buckets!